Home » Past Screenings » SEARCHING Advance Screening Passes! Do you want to see SEARCHING before anyone else? Learn how you can see an Advance Screening to see it before anyone else. After David Kim (John Cho)’s 16-year-old daughter goes missing, a local investigation is opened and a detective (Debra Messing) is assigned to the case. But 37 hours later and without a single lead, David decides to search the one place no one has looked yet, where all secrets are kept today: his daughter’s laptop. In a hyper-modern thriller told via the technology devices we use every day to communicate, David must trace his daughter’s digital footprint before she disappears forever. 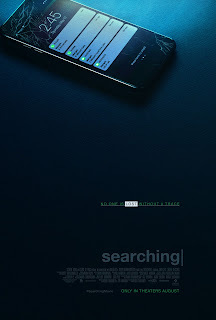 SEARCHING is in select theaters on August 24th, 2018.